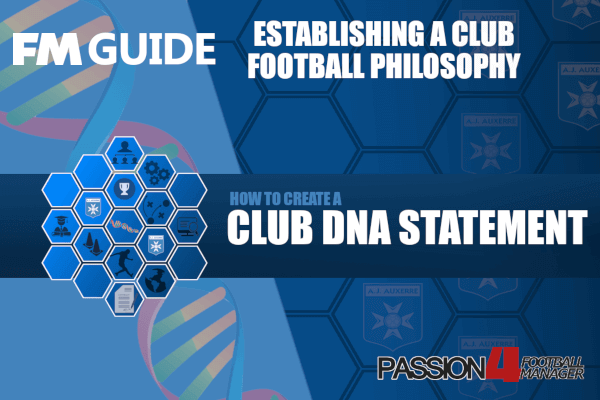 The time has now come to take a closer look on the Rigid Mentality Structure within the Football Manager Mentality ladder. Here will ‘The Hand of God’ analyze the gestalt tactical system which organize tactical priorities according to player positioning rather than the duty of the player role. This part about rigid mentality will let you discover how the rung of task and tactical priority will change for the different player roles when selecting a rigid mentality. Learn more about the sweeper and trequartista effect and the benefits of rigid fluidity setting below. Rigid mentality structures cover the broadest range of tactical priorities with roles sharply defining how players contribute to the team’s strategic objective. While Balanced mentality structures can also cover a very wide range of tactical priorities, Rigid mentality structures organize tactical priorities according to position within the team’s defensive shape regardless of duty (with a few exceptions). The idea is that each player has a more distinct and clearly defined function within the team compared to more fluid systems. The main purpose of this is to ensure a quick and well organized transition from defense to attack (and vice versa) with wide players moving up more readily to link the defence, support and attack. While this can make the team’s approach somewhat predictable, it better enables players to play to their specific strengths while reducing the risk of the team getting bogged down in aimless, incoherent play. Previously, rigid mentality structures have been equated with archaic tactical systems in which specific positions are strictly limited to contributing to specific phases of play, but this is not an accurate depiction. Team mentality and duty are the primary factors in determining whether specific players get forward or drop back to defend. A rigid mentality structure merely causes players in different positions to be incrementally more cautious or adventurous to ensure a greater tactical distinction between positions and roles. This is quite different from limiting certain positions to a single phase of play. Certain rigid mentality structures are subject to the Sweeper Effect. Essentially, under a more defensive team mentality, using a sweeper role will cause other players on the team to become slightly more aggressive. The Sweeper Effect applies to rigid contain, defensive and counter mentality structures that use a Sweeper (that is, the role, not the position). In the following outlines, you should move each outfield player (with the exception of other sweepers) up one position on the mentality ladder for Defensive mentalities and up two positions for Contain if the mentality structure is subject to the Sweeper Effect. Keep in mind, the alterations imposed by the Sweeper Effect are the same regardless of how many sweepers are used. A similar effect occurs when a Trequartista is used as a lone striker in Control, Attack and Overload mentalities. In such situations, you should move every outfield player other than the Trequartista up one position on the mentality ladder for Control mentalities and up two positions for Attacking and Overload mentalities.